NEB built Bella Mente (Judel/Vrolijk 72) set a new record June 12, 2014, breaking the Mount Gay Rum Around Jamestown Record. The new keelboat record, circumnavigating the 19 nautical mile Conanicut Island on Narragansett Bay, Rhode Island is now One hour, 19 minutes and 25 seconds (elapsed time). Hap Fauth’s team claimed the prize in Newport one day before the 160th New York Yacht Club Annual Regatta presented by Rolex. The three day event begins with the Around The Island Race. After this second lap around the island in as many days team Bella Mente will join a competitive IRC fleet for a weekend of racing round the buoys. To follow the NYYC event click on: www.nyyc.org. 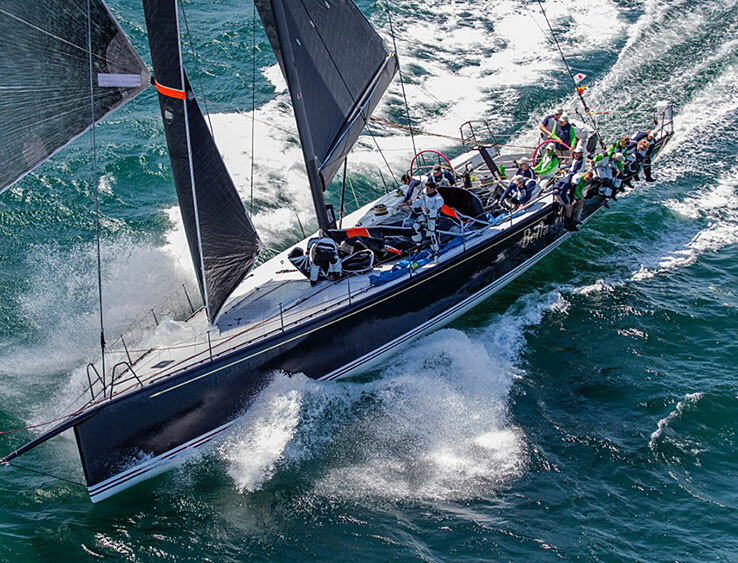 Bella Mente will be facing tough competition during the day races in Newport as well as the upcoming Newport-Bermuda Race from another NEB built Mini Maxi, Caol Ila R (ex Alegre), recent winner of the 2014 Les Voiles de St. Barth.